Earlier today, I saw a tweet that impressively captured the space between a proverbial rock and hard place where many marketers and small-to-midsize businesses (SMBs) might find themselves. The tweet was part of an ongoing conversation in response to a recent New York Times investigation of never-before-reported events that led to Facebook’s high-profile crises and missteps over the past few years. One commenter suggested that advertisers — those who use Facebook’s ad targeting tools to build and promote their businesses — leave the network, effectively cutting off the company’s largest revenue stream. This story is not, however, about the pros and cons of advertisers leaving Facebook. Rather, it’s a story about moves made by other companies to create new platforms for businesses to establish a broader — or perhaps alternative — digital presence. One such company is Google, who earlier this week announced its new Google My Business app. Here’s a look at the app — and why it represents a pivotal moment in marketing. 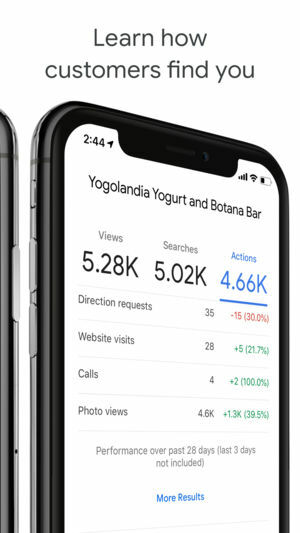 The road to this app began a few weeks ago, when Google introduced a new feature to Maps that allowed Android users to follow a business on that platform. On the flip side, the follow feature allowed these businesses to create a profile and — even if they weren’t going to open for another three months — become discoverable. These features were and are part of the broader suite of tools within Google My Business, which is what allows businesses to create and maintain these profiles that appear on Maps and mobile search results. Now, Google has released a mobile app for managing these profiles. 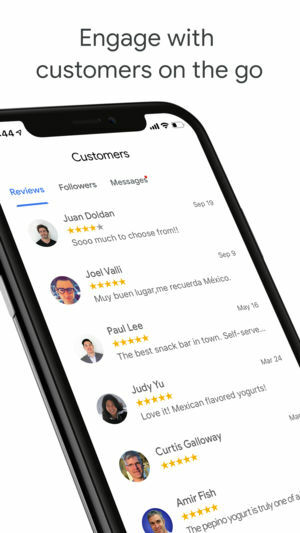 In a way, the Google My Business app could be likened to a hybrid of Yelp and Facebook Business Page tools — among its features are those that allow businesses to respond to reviews, send and receive messages from customers, and see who’s following them on a dedicated “Customers” tab. 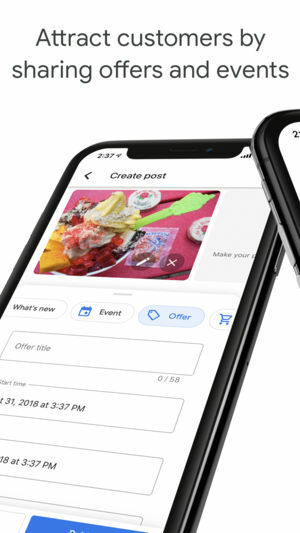 Otherwise, the Google My Business app offers similar tools to those of other social networks — namely, Facebook — that allow businesses to upload photos, promote offers, create events, and view engagement analytics. What might be the most interesting aspect of Google’s announcement and launch of this app is its timing. As we mentioned previously, the Google My Business app was officially unveiled on the same day the New York Times published a rather damning report on the inner workings of executive leadership within Facebook — which is one of the most commonly-used digital marketing tools among small businesses. As one of the report’s authors, Sheera Frenkel, notes in the tweet above, it followed years of controversy faced by the company. Facebook’s ongoing period of embroilment is somewhat compounded by diminishing user trust in the company among users, slowing growth in its two most lucrative markets (the U.S. and Canada), and a drop in Business Page engagement by as much as 50% over the past year. When looking at all of these combined factors, it raises the question: Is this a catalyst for other networks and platforms, like Google, to build new platforms for businesses and advertisers to reach customers? Possibly — but some say that these new platforms would build on a foundation of business tools that Facebook has been building and growing for a while. But now, Andrews says, the landscape has shifted — and calls for both Facebook and other potential providers in the digital marketing space to approach thoughtfully.